The 4th Cavalry Regiment is one of the most famous and most decorated regiments in the United States Army. Since its activation in 1855, twenty-nine of the regiment's soldiers have been awarded the Medal of Honor during the the Civil War, Indian Wars, the Philippine Insurrection, & Vietnam. Medal of Honor Citation:For conspicuous gallantry and intrepidity in action at the risk of his life above and beyond the call of duty. 1st Lt. Steindam, Troop B, while serving as a platoon leader, led members of his platoon on a night ambush operation. On the way to the ambush site, suspected enemy movement was detected on 1 flank and the platoon's temporary position was subjected to intense small arms and automatic weapons fire as well as a fusillade of hand and rocket-propelled grenades. After the initial barrage, 1st Lt. Steindam ordered fire placed on the enemy position and the wounded men to be moved to a shallow bomb crater. As he directed the return fire against the enemy from his exposed position, a fragmentation grenade was thrown into the site occupied by his command group. Instantly realizing the extreme gravity of the situation, 1st Lt. Steindam shouted a warning to alert his fellow soldiers in the immediate vicinity. Then, unhesitatingly and with complete disregard for his safety, 1st Lt. Steindam deliberately threw himself on the grenade, absorbing the full and fatal force of the explosion as it detonated. By his gallant action and self-sacrifice, he was able to save the lives of the nearby members of his command group. The extraordinary courage and selflessness displayed by 1st Lt. Steindam were an inspiration to his comrades and are in the highest traditions of the U.S. Army. Medal of Honor Citation:For conspicuous gallantry and intrepidity in action at the risk of his life above and beyond the call of duty. Troops B and C, while conducting a reconnaissance mission along a road were suddenly attacked by a Viet Cong regiment, supported by mortars, recoilless rifles and machine guns, from concealed positions astride the road. Sgt. Long abandoned the relative safety of his armored personnel carrier and braved a withering hail of enemy fire to carry wounded men to evacuation helicopters. As the platoon fought its way forward to resupply advanced elements, Sgt. Long repeatedly exposed himself to enemy fire at point blank range to provide the needed supplies. While assaulting the Viet Cong position, Sgt. Long inspired his comrades by fearlessly standing unprotected to repel the enemy with rifle fire and grenades as they attempted to mount his carrier. When the enemy threatened to overrun a disabled carrier nearby, Sgt. Long again disregarded his own safety to help the severely wounded crew to safety. As he was handing arms to the less seriously wounded and reorganizing them to press the attack, an enemy grenade was hurled onto the carrier deck. Immediately recognizing the imminent danger, he instinctively shouted a warning to the crew and pushed to safety one man who had not heard his warning over the roar of battle. Realizing that these actions would not fully protect the exposed crewmen from the deadly explosion, he threw himself over the grenade to absorb the blast and thereby saved the lives of 8 of his comrades at the expense of his life. Throughout the battle, Sgt. Long's extraordinary heroism, courage and supreme devotion to his men were in the finest tradition of the military service, and reflect great credit upon himself and the U.S. Army. Medal of Honor Citation: Swam the San Juan River in the face of the enemy's fire and drove him from his entrenchments. to aid them or to get into a position to do so, charged over a distance of about 150 yards and completely routed about 300 of the enemy who were in line and in a position that could only be carried by a frontal attack. Medal of Honor Citation: Gallantry in a long chase after Indians. Medal of Honor Citation: Gallantry in action. Medal of Honor Citation: Held the left of the line with a few men during the charge of a large body of Indians, after the right of the line had retreated, and by delivering a rapid fire succeeded in checking the enemy until other troops came to the rescue. Medal of Honor Citation: Ran down and killed an Indian. Medal of Honor Citation: Conspicuous gallantry during an attack on a hostile Apache Indian Camp; seriously wounded. Medal of Honor Citation:Untiring energy and cool gallantry under fire in an engagement with Apache Indians. Medal of Honor Citation: Though dangerously wounded, he maintained his ground with a small party against a largely superior force after his commanding officer had been shot down during a sudden attack and rescued that officer and a comrade from the enemy. Medal of Honor Citation: Gallantry in attack on a large party of Cheyennes. 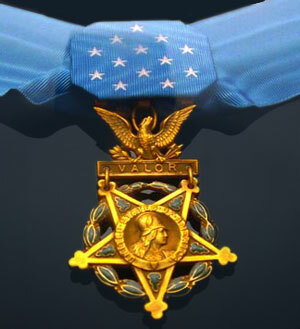 Medal of Honor Citation: Bravery in action. Medal of Honor Citation :Gallantry in action. Medal of Honor Citation: Gallantry in action with Indians. Medal of Honor Citation: Assisted, under a heavy fire, to rescue a wounded comrade. Medal of Honor Citation: Gallant manner in which he faced a desperate Indian. Medal of Honor Citation: Gallantry in a combat with 5 Indians. Medal of Honor Citation: Assisted, under heavy fire, to rescue a wounded comrade. Medal of Honor Citation: In pursuit of a band of cattle thieves from New Mexico. Medal of Honor Citation: At the head of his regiment charged a field battery with strong infantry supports, broke the enemy's line and, with other mounted troops, captured 3 guns and many prisoners. Thank you, 4th Cavalry Troopers for your service and sacrifice.